Born in Japan, Ms. Ochi began piano lessons when she was three years old. As a scholarship student she received her baccalaureate degree from Aichi Prefectural University. 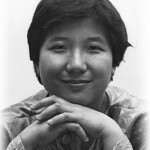 In 1986 she won first prize in the Kogama Music Competition. 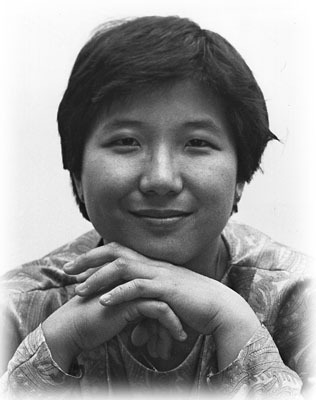 After studying at the Moscow Conservatory, Ms. Ochi became a graduate student at Rowan University where she continues to study with Veda Zuponcic. She has won the Rowan University Concert Competition performing the Gershwin concerto with the Rowan University Orchestra. Her debut concert tour of Japan was in the summer of 1998, performing in four cities. This tour was repeated in 2000 with additional concerts in Tokoshima and Takamatsu. In 1998, as an award winner, Ms. Ochi played in competition the Chopin Concerto #2 with the South Orange Symphony. Winning in the Eastern Region for the state of New Jersey, Ms Ochi played for the NTNA Steinway Competition in the year 2000. Sunday April 29th, 2001, 4pm at the Student Center Theater at RIder University, Route 206, Lawrenceville. Clarfield and Livingston have earned an international reputation for their dynamic performance style and their gift for making piano music understandable and exciting . The pianists involve the audience in their concerts by sharing concepts and ideas about the music as well as asking members of the audience to share their feelings and observations on what they are exploring and learning for each piece. Please join Clarfield and Livingston as they celebrate their 25th anniversary in their piano performance partnership. Audience members will spend an unforgettable day learning new things about dance music with a lot of laughs, a lot of fun and a few surprises along the way! Plus: “Tarantelle” – A world Premier work for 2 pianos by 14 year old Princeton composer, Tatkin Oey.